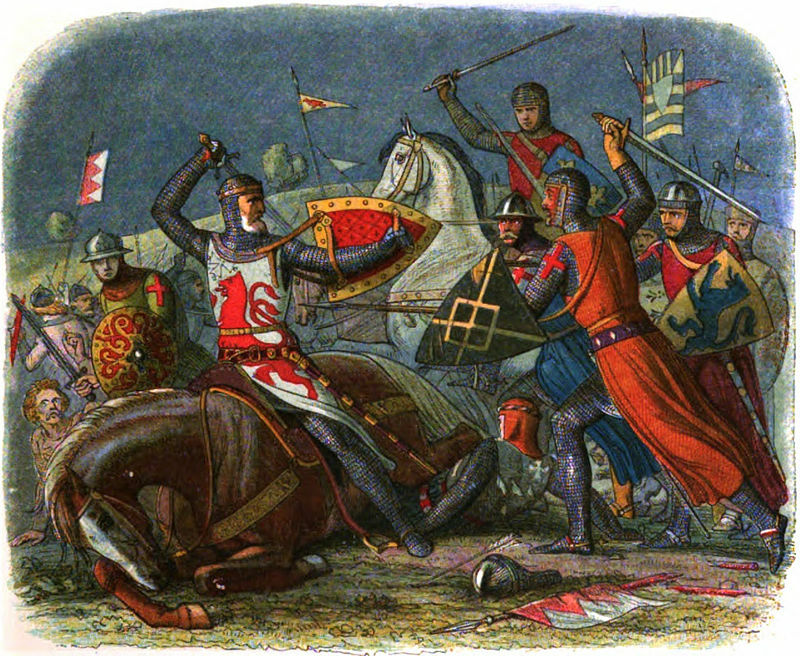 Simon de Montfort in the Battle of Evesham where he was defeated. 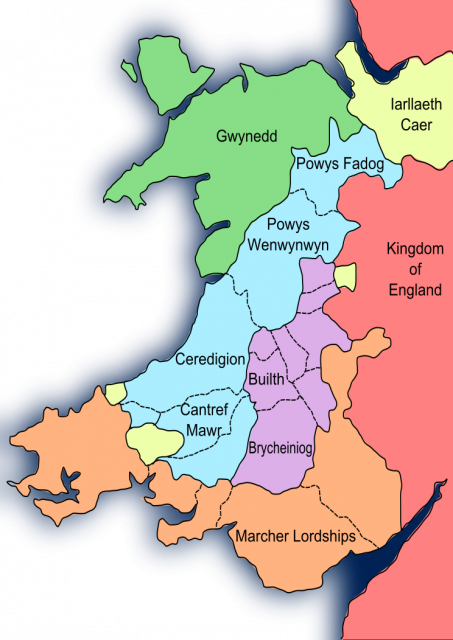 The Normans had aimed and conquered Welsh lands since the Conquest in 1066, and the Anglo-Welsh border, known as the Marches, became violent and lawless under the Norman lords. Welsh princes, who were officially recognized by King Henry III of England in the Treaty of Montgomery (1267) sought independence from the overbearing cultural dominance of their Norman overlords. Prince Llewelyn, like his forebears Prince Gruffydd and Llewelyn Fawr (“The Great”), actively resisted the English crown’s dominance over their lands upon his coronation in 1245. He had supported the rebel Baron Simon de Montfort, who was killed at the disastrous Battle of Evesham in 1266, and later, by proxy, had married his daughter Eleanor. 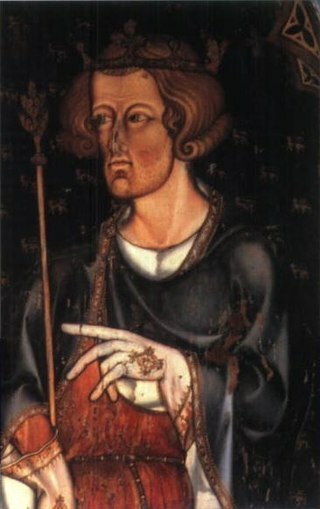 Edward I was crowned King of England in 1274 and sought to secure his dominance over Wales. Edward, unlike his predecessors John Lackland and Henry III, was a thoroughly military man, which would earn him a brutal reputation in the 1290s during the Scottish War of Independence. He seized Eleanor de Montfort, offered sanctuary to Llewelyn’s brother (who had plotted Llewelyn’s assassination), and refused to recognize Llewelyn as Prince. 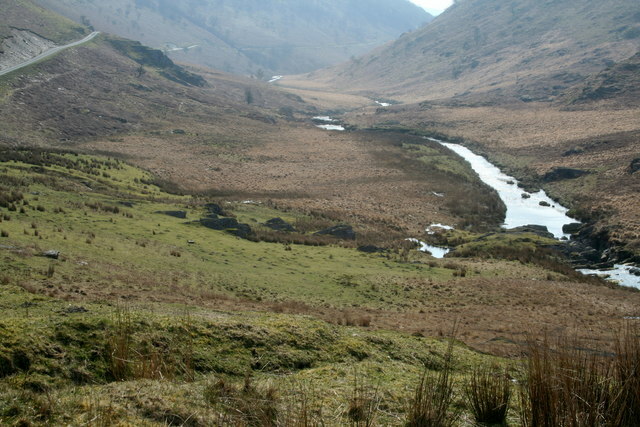 Llewelyn refused to do homage to Edward, and the king began to plan his military operations in Wales. 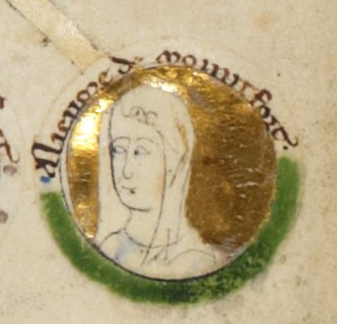 Depiction of Eleanor de Montfort. Edward assigned three of his most trusted generals, themselves Marcher Lords, to secure a route for his invasion. Medieval Warfare of the period consisted mostly of siege warfare against castles, and this campaign proved no exception. William Beauchamp, Earl of Warwick, took the area around the Clwyd River. 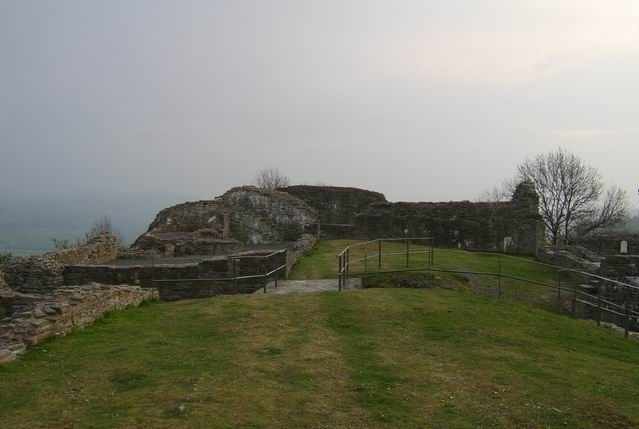 Roger Mortimer besieged Dolforwyn Castle on April 1st, 1277, which surrendered on April 8th. Payne Fitz Patrick besieged the castles in the Tywi valley to the South. These campaigns were largely successful, due to the great resources available to the persistent English King, the overwhelming numerical superiority of his army, and the fact that Prince Llewelyn’s allies in Wales defected to Edward in large numbers. Edward himself advanced into Wales in July, clearing the forest as he went to deprive the Welsh of cover for their warriors, stealing crops and pillaging the countryside, and beginning the construction of castles along the way. Llewelyn found himself surrounded, outclassed and outnumbered, and his people starving. He surrendered under the terms of the treaty of Aberconway on November 1. Edward I Longshanks – King of England. Another rebellion occurred in 1282 surrounding Prince Llewelyn’s brother Daffyd, who had aided the English against Llewelyn, and it achieved some minor successes. However, the ruthless Edward again marched into Wales, determined to stamp out rebellion once and for all. 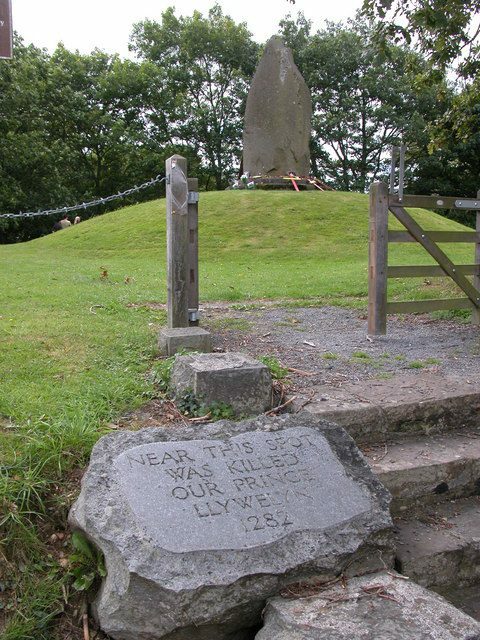 At the Battle of Irfon Bridge on 11 December 1282, the national hero, Llewelyn ap Gruffydd, was killed, and Wales became an English territory, not to raise arms against the crown again for over a century. 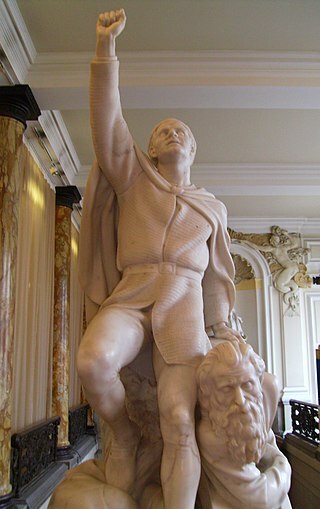 A major reason for the overwhelming success of Edward I’s campaigns in Wales was the superiority of his military forces. Feudal armies of the time were centered around the armored cavalryman and the shock of his charge. The few pitched battles which were fought showcased the ruggedness of the Welsh warriors, but their inefficient means of supporting themselves and the questionable loyalties inherent in the old Celtic tribal system undermined any success they might have had. However, as was stated before, the majority of armies did not fight pitched battles but instead starved their enemies out of castles and fortified towns. Essentially, the side which could afford to maintain a siege the longest would emerge victorious. Llywelyn the Last sculpture by Henry Pegram. Edward had the vast resources of England behind him, and Llewelyn could not afford to keep sieges going for as long. He also knew better than to march an army into the rough mountains of Wales to seek pitched battle, for his mounted nobles needed open terrain to function effectively. As if to punctuate his chosen strategy, Edward constructed vast numbers of castles in Wales in order to cement English dominance over the land. Many of these are still standing to this day. Yew English Longbow – 6 ft 6 in long. Edward had encountered Welsh forces armed with the longbow during his campaign and was immediately impressed with its range, volume of fire, and penetrating power. He immediately recruited several corps of longbowmen from Wales itself and introduced massed archery to English warfare, which would provide his armies with a means to defeat the rebellious Scots in the 1290s, and those of his successors with the means to slaughter the vaunted French knights during the Hundred Years’ War (1320-1453).